Why would I need self storage in Duarte, CA? There are a variety of reasons why you might need self-storage in Duarte, CA. How much is a storage unit in Duarte, CA? The cheapest storage unit in Duarte, CA is $82.00 per month. What size storage units do you have available in Duarte, CA? In Duarte, CA we have sizes that range from 5'x5' to 12'x30' to suit your storage needs. How much is it for a 5'x5' storage unit in Duarte, CA? The cheapest 5'x5' storage unit in Duarte, CA is $82.00 per month. Duarte is a relatively small city in Los Angeles County just south of the San Gabriel Mountains. Although its growth has slowed in recent years, it remains a desirable place to live in Southern California. 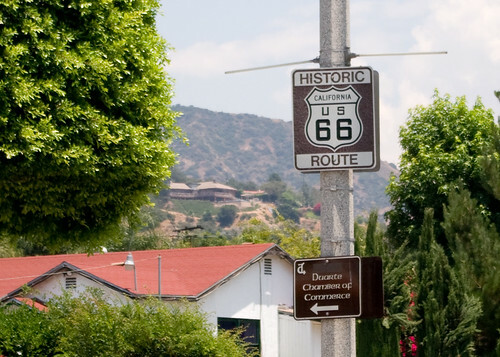 Located on the famous Route 66, and host to a number of amenities, Duarte is home to a major cancer research center and a nationally recognized hospital and offers a diverse collection of places of worship. Hiking and biking trails provide plenty of opportunities to enjoy the scenic beauty and mild weather of this California city. And if you find yourself searching for big-city entertainment, Los Angeles is just a short drive away. The area that's now home to Duarte was originally inhabited by the Gabrielino Indians. In 1841, several thousand acres of land were granted to former Mexican corporal Andres Duarte, and a growing number of settlers came to the land throughout the late 1800s. Much of Duarte's land was sold off in 40-acre plots to cover his debts, giving new families the opportunity to build homes here. By 1957, the community was ready to fight for incorporation, and on August 22 of that year, the city of Duarte and the Duarte Unified School District were formed. Duarte offers a lower cost of living when compared to many other cities in California, making it a desirable place to live. With both Pasadena and Los Angeles close by, Duarte is an ideal choice if you're looking for access to big-city amenities while maintaining a small-town lifestyle. There's plenty to do in the city as well. You can enjoy the numerous shopping and dining options or experience the outdoors at one of the local parks. Fish Canyon Falls offers scenic hiking trails and an impressive collection of blooming wildflowers in the spring. The unemployment rate in Duarte is slightly above average, but job growth recently has been on the rise. A significant percentage of local jobs are in sales, office and administrative support, management, business, and finance. The Duarte Unified School District manages the schools in the city. In addition to elementary, middle and high schools, the district also manages an alternative education school and a child development center. There are a few private schools in the city, most of them faith-based. Utilities: Southern California Edison is the city's energy provider, while California American Water manages local water services. Garbage and Recycling: Your trash and recyclables will be collected curbside on a weekly basis. Your specific collection schedule is determined by your neighborhood. Transportation: Duarte is home to a well-developed network of public bus routes for transportation around the area as well as to neighboring cities. Duarte home values are on the rise, climbing well above the state and national averages. Whether you are looking to buy or rent, there are a variety of options. Our lowest priced units in Duarte, CA average $87.00 per month. 82 people have reserved units in Duarte, CA in the past 30 days. There are 2 locations within Duarte, CA's city limits.